The other day I woke up all sorts of broken out and it instantly ruined my day. I know I’m not the only one here…You know what I’m talking about right? Like no matter what I did with my hair, how much makeup I wore, or what outfit I wore, it was going to be a bad day and I would feel u-g-l-y (you ain’t got no alibi you ugly). I quickly made a dermatologist appointment, I’d been meaning to anyways and that was a great catalyst. I have since gone to said appointment and my dermatologist was amazing! It really highlights the importance of finding a good dermatologist like Ava MD cosmetic dermatology. They really help YOU, not just try and sell products. My last dermatologist barely listened to me and I got the feeling he just gave me what he gave every my-age girl who walked in his office. This woman (Nicole at the Central Utah Clinic) answered every little question I had and prescribed me some things that will (*fingers crossed*) hopefully keep the breakouts under control and even prevent ageing! For any skin concerns of your own, it’s always good to seek the advice of board certified specialists like those at Westside. *This one is for cystic acne. If you don’t know what that is you are lucky. I am prone to them, huge suckers that come up in my chin. Fuuunnnn! And she gave me stellar advice on what products I should and shouldn’t use. I’d like to share what she told me with you because maybe like me, you had no idea. 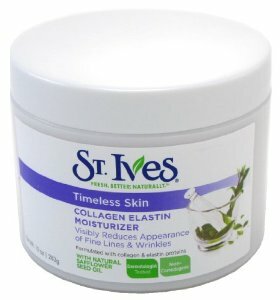 I’ve been seeing this everywhere, on beauty blogs, in magazines, and so I bought it and I’ve been using it for a few weeks now. Well guess what, it might work for some people but for many people it’s going to make you break the heck out. MINERAL OIL is the 2nd ingredient! Nicole stressed to me to make sure none of my makeup, face creams, or face washes have any oil in them and to make sure they are all non-comedogenic. Most products will tell you if they are those two things, or if you can’t tell you can reference these two handy sites here and here. I KNOW I KNOW! I’ve been using this for YEARS! But Nicole kindly explained (and even drew me a picture) about how harsh scrubs don’t get down into the pore to clean them out, and they really only just dull the edges of your pores and make them LOOK BIGGER. Yeah. I wish I could show you the picture because it makes sense. She told me the entire dermatologist office generally advises against scrubs for that reason. Don’t get me wrong, exfoliating is important. I use my Clairsonic for that but there are tons of similar products out there (hey even a washcloth will work!). 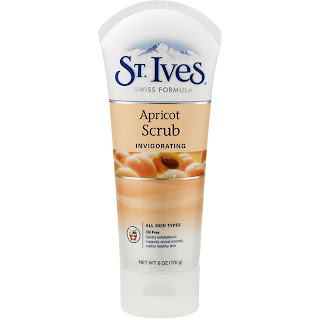 Exfoliating is a different, more gentle process that just sloughs off the outer layer, scrubs are much more harsh. These are pretty good articles to refer to: here and here. My mind was turned upside down. I have been using this face wash in conjunction with my Clairsonic for a few months now and I actually really love it! And good news! It’s dermatologist approved. I noticed a difference as soon as I started using it and would totally recommend it. I’ve also heard really great things about these and this. However because I’ll personally be going with the prescription strength creams, she recommended I switch to a gentler face wash and moisturizer. I went and picked up these by Aveeno: here and here. Other great options are this, this, this. Some great options are here, here, and here and also really loving this one. – When working out, wash/rinse your face before AND after. I use green tea baby wipes from Target. SUPER cheap, they remove the makeup and get my face workout-ready! After a workout rinse your face off with water so that sweat doesn’t stay on the skin and clog your pores. – Drink EPIC amounts of water. I’ve made this a habit and I probably drink 3 or more liters a day, and I notice if I slack off or just forget to drink the agua, I’m much more prone to breakouts. – Sunscreen!!! My mom had a bout with skin cancer fairly recently and I watched her have to put cream on every day that burned and made it uncomfortable to wear clothing, and she had to get every possible mole or suspicious freckle removed. Not only is that a big factor in my affinity for sunscreen, but hello wrinkles and age spots!? Who wants that?Nobody. So slather on the sunscreen. AND not just on beach days. I use sunscreen every single day, at the very least on my face and neck, but usually on any exposed skin also. My favorite sunscreens are here and here and here. **Notice I said “guidelines”? If you have a routine that is working for you and it involves scrubs or a product with some oils in it, then you keep doing what you’re doing! These guidelines mostly apply to us “acne prone” or “sensitive skin” girls. I hope this helps some girls out there, and I’ll update you soon and let you know how my new routine is working out! Do you have a certain product you can’t live without, or a skincare tip you love? The two topical medications you received are ones that I got from the derm. when I first went years ago… hopefully, they will work for you – I have since stopped using them because I found they really didn’t help me. However, I do have cystic acne, and I didn’t want to take medication (antibiotics) for a prolonged period at the time… but still having skin problems at my age has made me more desperate to find something that works, so I will be heading back to the doctor ASAP! I’ve tried everything under the sun at this point, other than pill medication, so I’m willing to try anything! Hope these work out for you! Sammi, thank you for your comment! I’ve been using the medications for awhile now and they are pretty harsh because my skin’s so sensitive, but they seem to be working pretty well! And I also hate the idea of taking antibiotics, I tried them in the past and never stuck with it, but at this point I’m just being careful to take Acidophilus and eat lots of yogurt (because it can be hard on the stomach. Good luck at the derm, it really is such a quest to find out what works for each person! So great and informative. I had no idea about the St.Ives scrub, I have been using it like crazy. And that pesky mineral oil, so hard to avoid ! Thanks for this post ! Madeline, I know it seriously is so tricky! Thanks for your comment! I noticed I can’t use any skincare products or I break out in clusters. I can deal with the tiny things that disappear in a few days but I am super prone to the cystic kind. I already have that medication but wasn’t aware you could use it for acne. About a week or two ago I started breaking out really badly on the lower half of my face. Seriously – woke up each morning with 2-3 more pimples. I think it may be stress related (I’m starting a new program tomorrow) but it’s been terrible. It’s the super deep spots that last forever. Ugh. I’ve been treating them with tea tree oil (is that allowed?! I love it!) and drinking lots of water. I think my diet might have something to do with it as well, but luckily that’s getting back on track. Thanks for sharing your advice, it’s great that you had someone so helpful! All the best with getting clearer skin! Natalie, thank you for your comment! Stress will definitely do it, and diet! I notice if I eat a lot of sweets I’m definitely more prone. Actually I’ve heard of some people using tea tree oil, if it works for you then great! I know I’m willing to try anything. 🙂 Good luck with your clear skin quest too! This was such a useful post! I use that scrub all the time, I had no idea! Thank you for letting me know, and I’m a slacker with sunscreen but I’ll try to be better! Excellent post ! I love read your review !! thanks you!! you have excellent knowledge on this topic skin care . I am highly impressed by your post! Hi Jackie – just stumbled upon this post. Was just wondering if you’ve ever tried altering your diet? Cystic acne (which I suffered from) is hormonal, and diet is a big factor. Dairy, sugar & caffeine are its biggest food triggers. After doing some research, I gave up coffee (for green tea) and cut out dairy, and my skin has never been clearer. I havent gotten one cystic bump. Just a suggestion as an alternate to a lot of those harsh medications. Steph, thank you for your comment! I definitely have a weakness for the sweets. I don’t really eat dairy (Almondmilk all the way!) and I don’t drink caffeine, but I could try cutting back the sugar! :(( haha. It definitely couldn’t hurt to try, and I always prefer natural solutions over medications too! No problem 🙂 everyone’s body is different! I subscribed to your blog, glad I stumbed upon it!